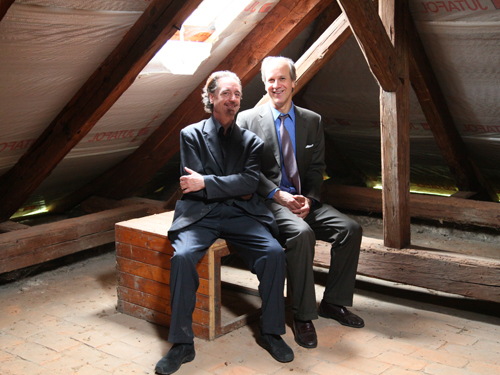 During a break on the Emerson Quartet’s European tour, David, accompanied by colleague Philip Setzer, spent two full days in the magnificent city of Prague, soaking up experiences and information which will undoubtedly find their way into future projects for The Chamber Music Society, ArtistLed, Music@Menlo, Stony Brook University, and for David’s new affiliation, the Juilliard School. May 21st and 22nd, 2012, will live in memory as two of the most extraordinary days in all my travels. Although I have been extremely fortunate in stumbling upon life-changing enrichment opportunities, I can’t recall a period of forty-eight hours that has ever yielded such rare and overwhelming experiences. For the good fortune of these two days amazing days, I would like to acknowledge the generosity of a number of extraordinary individuals: first, American musicologists Kathryn Libin (Vassar College) and Michael Beckerman (New York University), who both advised me prior to the trip, and led me to our guide-on-the-ground, musicologist David Beveridge, an American who has resided in Prague since the early 1990’s and is currently at work on a massive biography of Dvořák; and second, the members of the Lobkowicz family who not only opened their castles but their home for us, offering Phil and me the warmest of welcomes. Having left Larry and Gene in Portugal during the early hours of Sunday, we journeyed all day, and arrived in Prague with enough time to check in and head over to our reserved table at the Blue Duck, one of Prague’s destination restaurants; known both for its food and its stunningly beautiful décor. 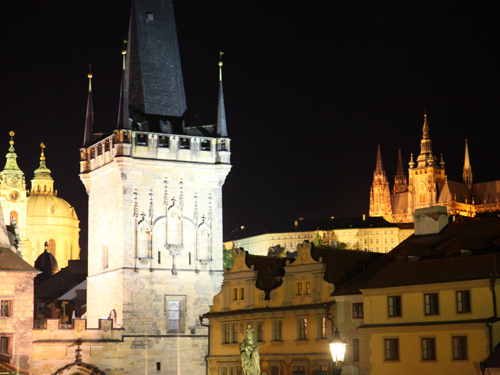 Prague at night is as magical as any city in the world. A brisk walk back over the Charles Bridge (we had been on the other bank, the Stare Mesto, for dinner the previous night) took us to the Dvořák Museum where we were met by David Beveridge at 10am sharp. David, who is a regular visitor to the museum, and speaks perfect Czech, had arranged everything for us, and after filling out forms and showing our passports, we were ushered into the reading room. 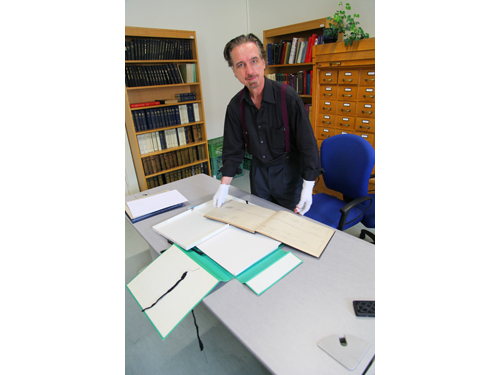 The manuscripts, already fetched from the vault, were laid in front of us. 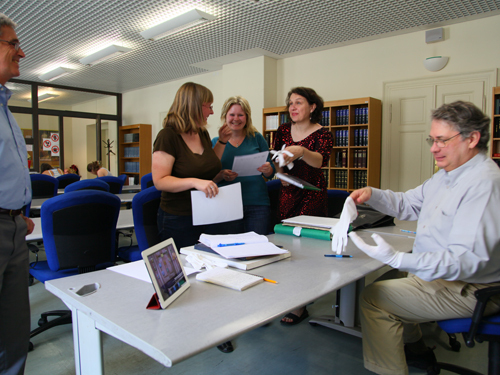 We donned white gloves before touching the manuscripts, while David and the museum staff looked on in amusement. For the next four hours we poured over Dvořák’s handwritten scores of his Trio in f minor and the “Dumky” Trio. 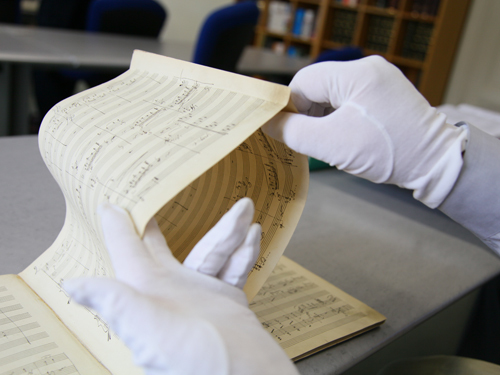 The examination of an original manuscript, especially of music this famous, is an incomparable thrill for any musician. Just to know that your fingers are turning the pages that Dvořák himself turned is exciting enough, but then to be able to absorb the spirit of the creative moment is another level altogether. As all music looks relatively the same once it is printed, so do all works and composers come across vastly differently through manuscript scores. Sadly, the tradition of hand-written music is disappearing as composers rely on computers to notate their music. My final treat was to hold the orchestral score of Dvořák’s immortal Cello Concerto. Besides noticing details that conflict with our printed editions of the works (and carefully notating them in our music, which we brought along) one sees amazing things in manuscripts that can actually affect the interpretation. You can easily see, for example, where a composer struggled to write, as opposed to composing in an unbroken, free-flowing stream of ideas. You can see changes that were made later, dynamics changed, expression marks added, all possibly after the pieces were first tried out and heard. Often it is obvious from the writing what element was most important in the composer’s mind at a given moment: was it the dynamic marking, the tempo, the articulation? 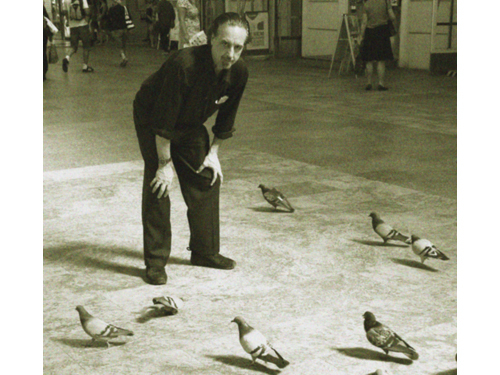 Sometimes the music simply looks loud or soft, or phrases look elongated, or passages muddled and frantic. However, covered over by a new patch of manuscript was another concept of this music (we were able to open between them just enough to peek inside). Before Dvořák settled on the final version as we know it, he had the violin and cello playing these long notes with tremolos. Of course we will not play it this way, as it was not Dvořák’s final wish. However, the idea that he originally conceived of these notes having such inner energy will undoubtedly influence the kind of vibrato we use. Several summers ago, as Wu Han and I entered the Lobkowicz Palace in Prague, we had no idea that an entire CMS season theme was about to be born. We were making our first visit to the imposing Prague Castle that has dominated the Prague skyline since the 9th century, and which encompasses many small palaces and historic buildings, making it the largest intact castle complex in the world. The palace belonging to the Lobkowicz family is enclosed within the castle, and its entrance caught our eye, as it displayed the name of Beethoven. Upon visiting the palace museum, one is quickly apprised of the history of the Lobkowicz family over its seven-hundred year span, including extraordinary events in the 20th century. The family’s possessions were twice confiscated, first by the Nazis in 1939, and, shortly after the family’s return in 1945, again by the Soviets. Maximilian Lobkowicz once again took his family into exile, with little more than his coat and hat. Making this story all the more personal is the fact that it is relayed to palace visitors via audioguide by Maximilian’s grandson William, in a warm, American-accented voice (he was raised in America). 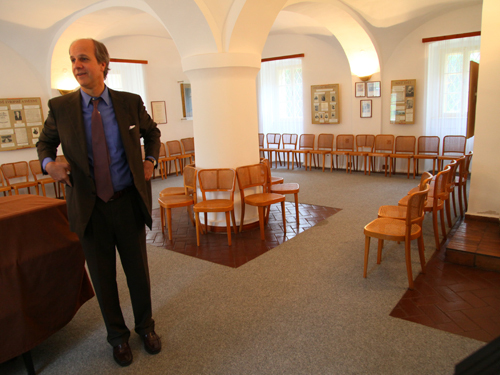 William Lobkowicz, upon the occasion of the Velvet Revolution of 1989 and the fall of Communisn, moved his family from Massachusetts to Prague to begin the complex process of re-possessing his family’s belongings, which included many castles and a vast collection of antiquities such as paintings, porcelain, arms, and musical instruments. 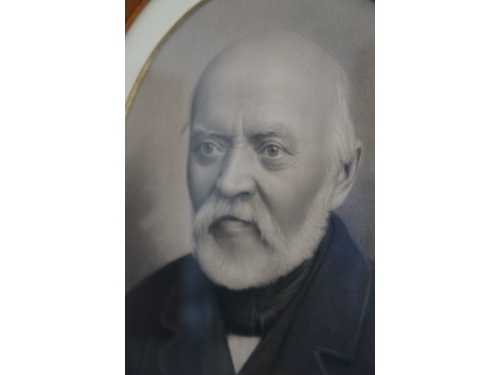 Among William’s many distinguished ancestors, one stands out for his contribution to music: the seventh prince, Joseph Franz Maximilian Lobkowicz, who lived from 1772 to1816. He helped to organize the stipend that kept Beethoven alive and well in Vienna, and, in addition, his commissions from Beethoven included the composer’s the 3rd, 5th and 6th symphonies. Haydn also benefitted from the prince’s patronage. Awed by our surroundings, we began our tour of the palace, guided from room to room by William’s engaging and personal explanations of the exhibits. (Of a ring on the finger of an ancestor in a 500-year old portrait, William says “my mother still wears it sometimes”). And suddenly, as we stood near this painting, William Lobkowicz himself walked briskly into the room. We are not inclined to impose ourselves on people, but in this instance an overwhelming desire to connect pushed us in pursuit of William, overtaking him and introducing ourselves as simply musicians grateful beyond words for his family’s incredible contribution to our art. It was a moment in our lives that we shall never forget, a thrilling experience. Having been honored by the presence of almost the entire Lobkowicz family at the CMS concert in February, and having enjoyed a stimulating discussion of future projects in our home the next day over bagels and lox, it was a fitting time to reconnect with this extraordinary family on the soil of their ancestors and among the astounding and vast holdings of the family connection. 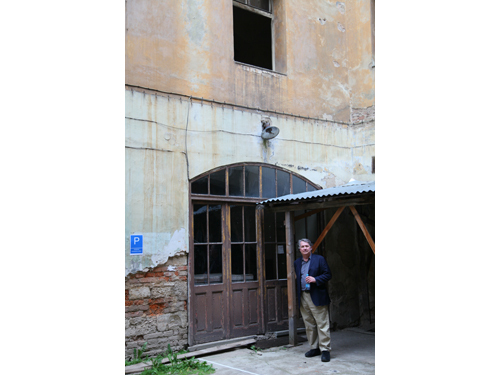 After a quick coffee in the Lobkowicz Palace, Phil and I jumped into William’s car and began the half-hour journey to the nearby town of Nelahozeves. The little town of Nelahozeves, founded in the tenth century, sits on the Moldau, as does Prague itself. In 1553 a wealthy family from Innsbruck began transforming the hilltop fortress into a real castle, in Renaissance style, using Italian craftsmen. And, in 1623, the castle was sold to Polyxena Lobkowicz, of the Pernstein family branch. 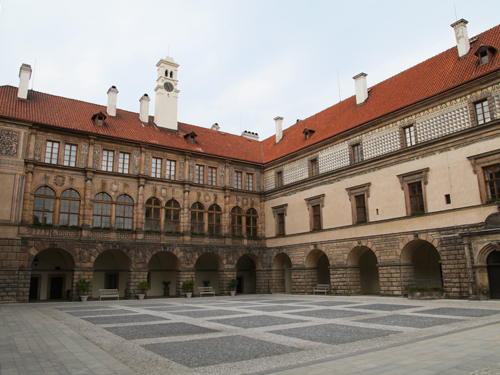 The castle is now a museum that houses not only much larger collections than the Palace in Prague, but also the family archives, which contain thousands upon thousands of rare books, documents, music manuscripts, and art. But the story from Nelahozeves that truly resounds around the world is not the magnificent one of the glorious Lobkowicz dynasty. Rather it is the story of the modest butcher and tavern keeper living in the small house at the foot of the castle, who had a son in 1841 and named him Antonín – Antonín Dvořák. 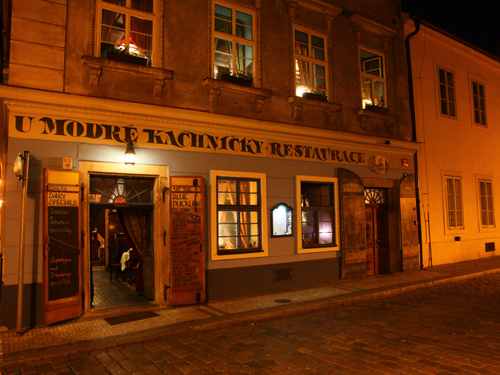 Dvořák’s father Frantisek ran a business that was common in those days, that of a combination meat store – tavern – gathering place. 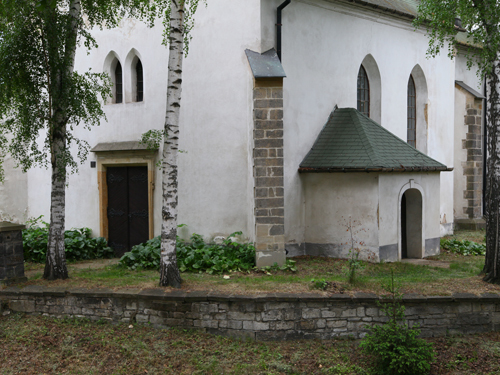 The house sits a stone’s throw from the church across the street, where Antonín was baptized, which is a stone’s throw from the Moldau and the train tracks, which both run right into Prague. Looming above everything is the imposing Nelahozeves castle. 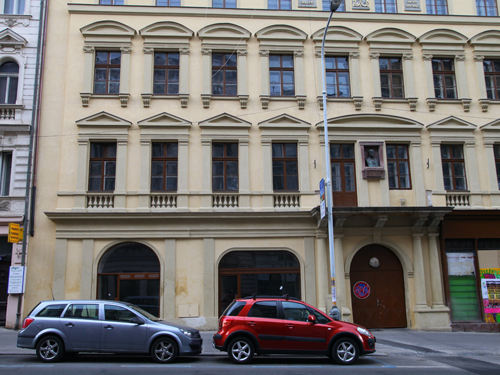 One wonders how the Dvořák’s felt looking up at it with its royal residents, and how the Lobkowicz family looked upon the modest abode of the town butcher. Could they have known that someday, the music of the butcher’s baby would be in the minds and hearts of an entire world of music lovers, of which the name Dvořák resides in the pantheon of the world’s greatest artists. 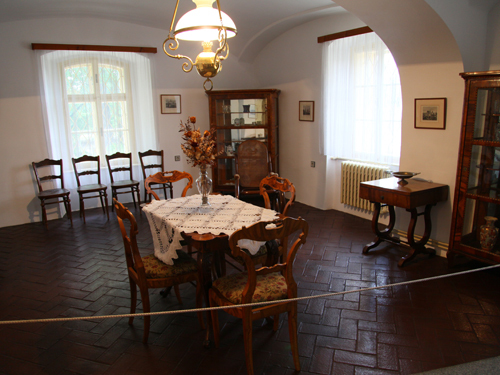 Our visit in Nelahozeves began with the Dvořák birth house. William had graciously arranged everything, and we were greeted by the small, friendly staff that operates the little museum. 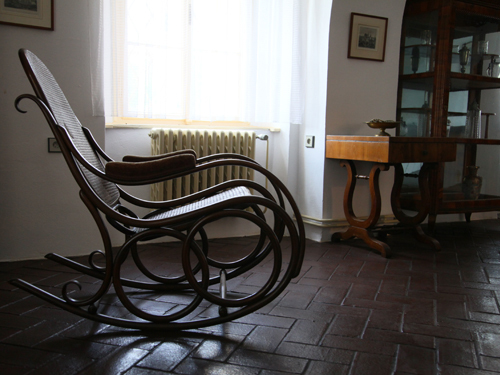 The items in the house are not those which were there when Dvořák was born; however, some have been brought there from Dvořák’s later residences. These include his favorite rocking chair. William was excited and happy to show us around the house, and why wouldn’t he be? He owns it, and generously leases it to the State for a crown a year to run as a museum. But, as it is with the rest of his family holdings, William has passionate dreams to connect this historic place to an even wider public. Stay tuned. 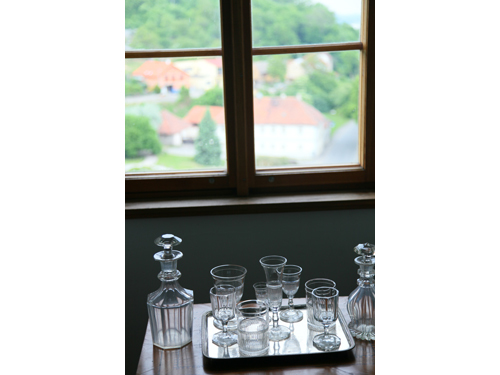 From the Dvořák house up to the castle parking area is a drive of about a minute. One truly enters another world passing through the castle entrance into its stately courtyard. 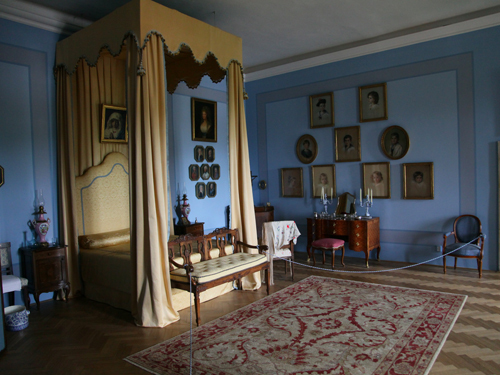 The castle, which was restituted to the family in 1993, now houses a museum with a permanent exhibition: Private Spaces: A Noble Family at Home, which comprises twelve rooms that faithfully show how a noble Bohemian family would have lived in the 19th century. The museum is open from April through October, and in addition, the Lobkowicz Events company organizes extraordinary conferences, fairs and other celebrations on the property. That this place is worth a trip to Prague to see goes without saying. 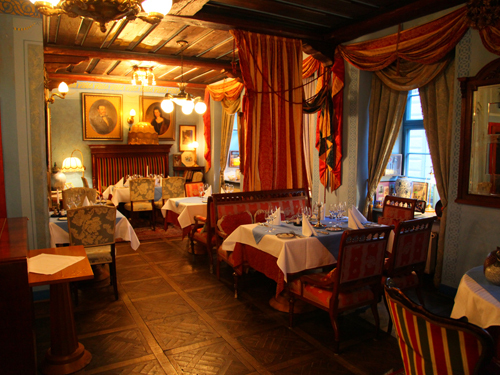 If you throw in the Dvořák house, not to mention Prague itself, you have a destination that competes with any in the world. I also cannot fail to acknowledge that being taken there by William personally, to hear him talking about his own ancestors in paintings hundreds of years old, and to see him whip out keys that opened every door; well, that was really incomparable. As awed as one can be in the presence of someone with such lineage, William dispels for his friends any notion of unapproachable royalty. Indeed, he is more like a kid in his playhouse, filled with enthusiasm and fun-filled energy, and deeply inspired by the great art and history around him. 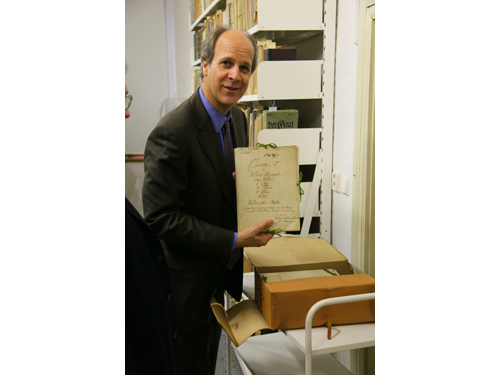 The last stop on the Nelahozeves castle tour was the archive vault, a super-secure, climate controlled area that houses more items than can be readily comprehended. With great pride, William showed us the manuscript of Vranický’s Violin Concerto in F. Antonín Vranický was the Kapellmeister to the 7th Prince Lobkowicz and composed this concerto in honor of the Prince’s 18th birthday. William’s wife Alexandra discovered this concerto last year and had it copied out and rehearsed in secret for William’s own birthday party. It had not been heard for 321 years! In spite of a grueling day for William and Alexandra (she had returned in the afternoon from Texas, he had been out all morning at another of the family castles for meetings and had a 7am flight the next morning) the couple graciously invited us to their home to meet their absolutely delightful children, to sample some Lobkowicz wine, and for a bite to eat. The excited discussions of future projects together went late, and it was Phil and I who finally had to send them off to bed. As we traveled back to our hotel, all we could speak of was our amazement at this extraordinary family, and of our great luck in knowing them and having experienced so much history of Bohemia through them, first-hand. Our second full day was allocated for a morning tour of the Lobkowicz Palace in the Prague Castle, and an afternoon walking tour of Dvořák residences and haunts with David Beveridge. 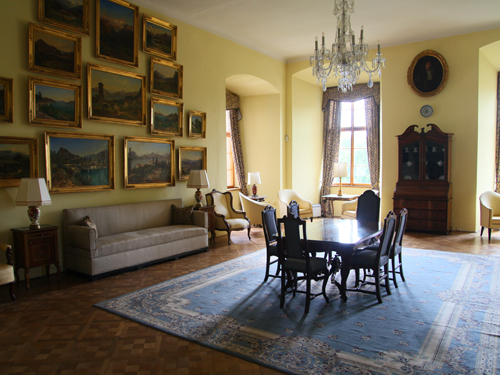 The Lobkowicz Palace is the only privately-owned property within the Prague Castle walls. It sits at the lower end of the castle area, which, as a travel author said, spreads its wings on the hilltop. The Lobkowicz Palace is the beige building, the last on the right adjoining the tower. While the entrance to the Palace is modest, the interior becomes more and more spectacular as one ascends the staircase, to the sound of William’s welcoming voice on the audio guide. 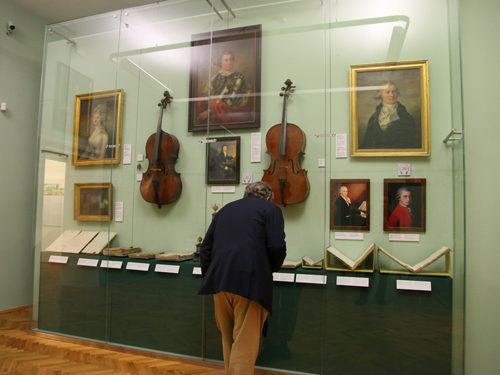 After touring portrait rooms which lay out the family’s extraordinary history, and passing through rooms devoted to sets of the family’s china going back 500 years, one comes to the small room that holds a very powerful music collection. Philip gazed through the glass at the first performance parts of Beethoven’s Op. 18 quartets, the score to the Eroica Symphony, the score to the 5th Symphony, and Haydn’s Quartets Op. 77 – all commissioned by the 7th Prince. I had the feeling that I was not supposed to take pictures but I couldn’t help myself. Perhaps I will be forgiven. At 1pm there was a well-attended chamber music concert in a lovely room. Gazing over the performers from behind is a portrait of the 7th Prince himself. 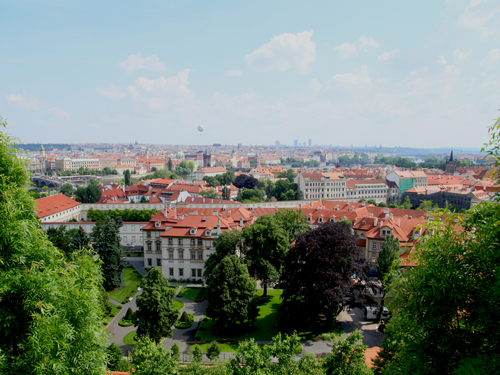 The view out over Prague is stunning. This photo is from the balcony of the Palace restaurant, where we were joined for lunch by Alexandra Lobkowicz and Director of Communications and Membership Mary Masri. 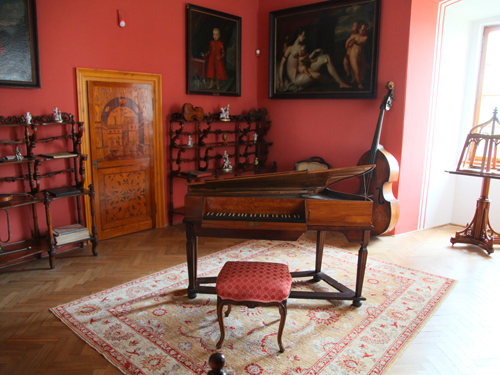 I cannot recommend more to visit Prague and to visit these extraordinary Lobkowicz properties and collections. 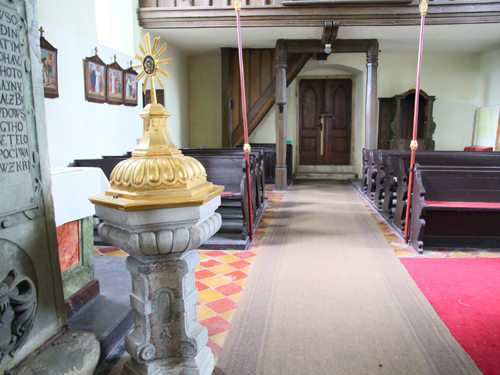 Their website, which is wonderful, is www.lobkowicz.cz, and there you can also become a member and receive newsletters. Of current interest is the journey to London of one of the family paintings by Canaletto, of the Lord Mayor’s Day on the Thames. Read all about it on their web site. Rushing off to meet David Beveridge, we connected at our hotel and immediately set out on foot for the nearby Nádražý train station which was one of Dvořák’s favorite places to hang out. He loved trains and was something of what we call today a train-spotter, keeping records of which locomotives dragged which trains to where on a daily basis. It was while waiting for a friend at this station that the main theme came to him for the 7th Symphony. 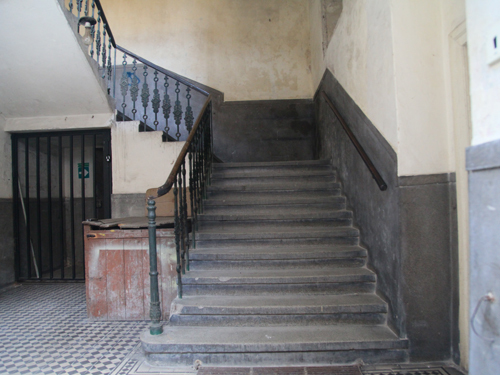 When Dvořák was still a boy in Nelahozeves, the train tracks were laid down just steps from his house. It must have been very exciting. It is likely that Dvořák arrived in Prague in this station for the first time, as it is from here that the trains to and from Nelahozeves have always operated. 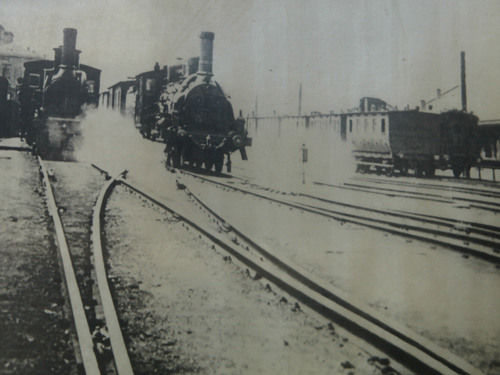 Below is a photo of the station in 1908, only four years after Dvořák’s death. 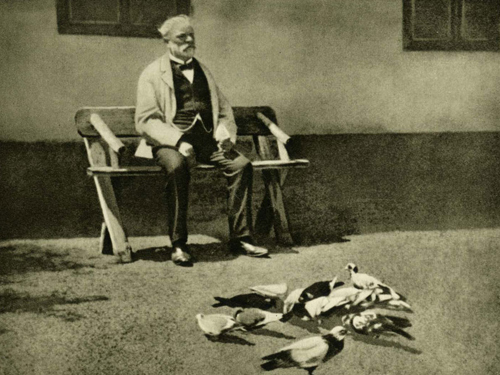 It is also well documented that Dvořák loved birds, especially exotic pigeons, and kept a large collection of them at his country house. I also explored this habit of the great composer, to a limited degree. 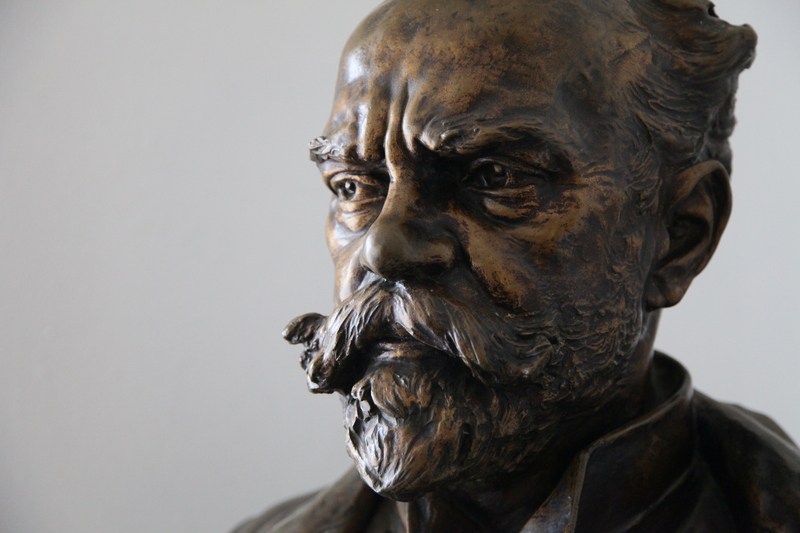 We then headed off to five Dvořák residences, all within 30 minutes walking distance of each other. David Beveridge proved the ideal tour guide, not only planning the walk for us efficiently, but knowing all of the places (only one, his final home on the Zitna, is marked) and on top of that knowing the years he lived in each, which pieces he composed where, who visited him, and even which windows belonged to him. 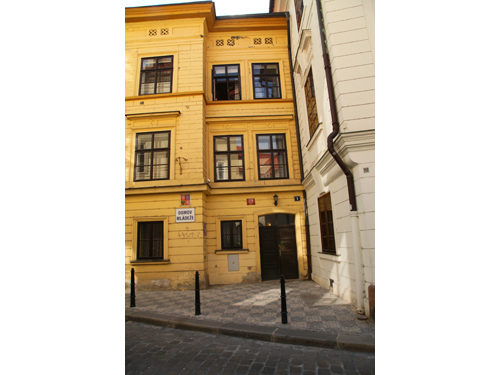 In this, his first residence around the corner from the Organ School which was his first higher music education, his windows were the ones directly above the doorway. 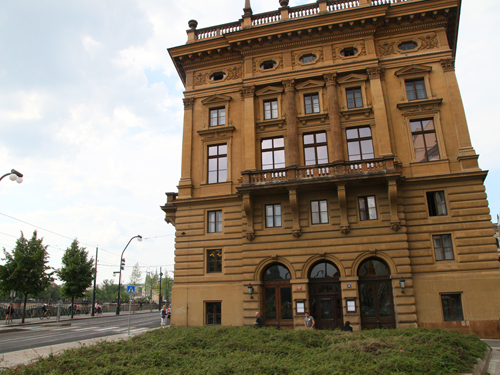 Next, we stopped at the National Theater, where Dvořák spent nine years as principal violist of the orchestra. It was there that he first met and played under the composer and conductor Bedrich Smetana, widely considered to be the father of nationalist Czech music. I visited the back entrance where the musicians and stagehands come and go. I can’t imagine it has changed much since Dvořák’s day. Our next to last stop was perhaps the most dramatic. It was the great composer’s final residence, a building within which he moved at least twice, once from back to front, and then from laterally from side of the building to the other. 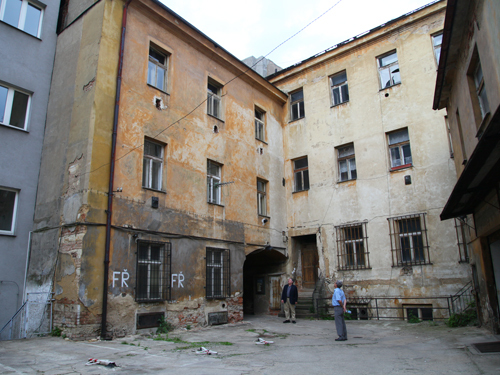 Unbelievably, the Dvořák family’s first quarters here were at the back of the alley, behind the two ground floor windows. 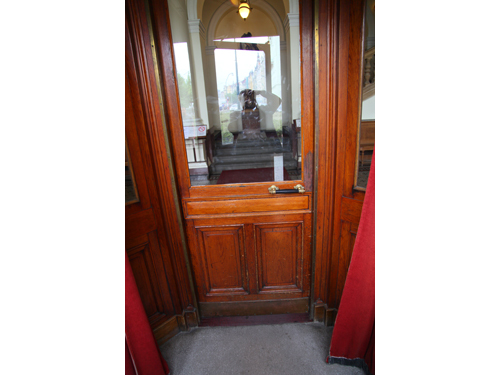 When he moved to the front, he used the staircase behind this door. The front of the house displays a modest bust of the composer. His windows were on the third floor above the street, the so-called second floor in European terminology. Behind the three windows on the left, he composed the Trio in f minor, and behind the three on the right, the “Dumky” Trio. We owe David Beveridge all the thanks possible for an extraordinary, custom-designed tour. We were truly privileged to have experienced Dvořák’s Prague with David as our guide. Over a late dinner, Phil and I recalled the extraordinary events of the past two days, both of us struggling to believe that we had actually experienced so much in such a short time. Down the road, the incredible riches of Bohemia are sure to manifest themselves in our programming, our teaching, and of course in our music-making. This kind of immersion, even for mature musicians such as Phil and I, serves to remind how much still awaits discovery, and how the road to musical enlightenment is both endless and inspiring. DVORAK TRIOS: David Finckel and Wu Han are joined by violinist Philip Setzer to showcase the piano trios of Antonin Dvorak!